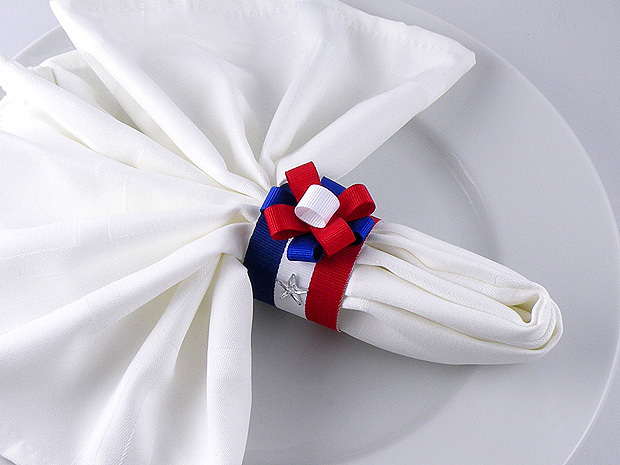 Patriotic napkin rings dress up any Fourth of July barbecue — they can be used for a place setting or displayed on a buffet table. I love having themed napkin rings but can never seem to find my fancy ones when the holiday rolls around. This is an inexpensive and easy solution. 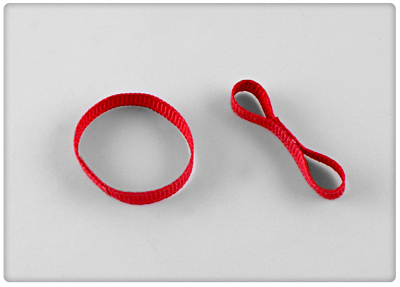 They are super easy and fun to create by cutting tubes from a paper towel roll and covering them with ribbon. 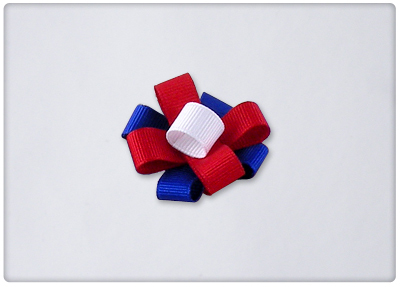 Glue the ribbon flower to napkin ring and attach a star on each side of the flower. Slide the ring over a napkin to finish. 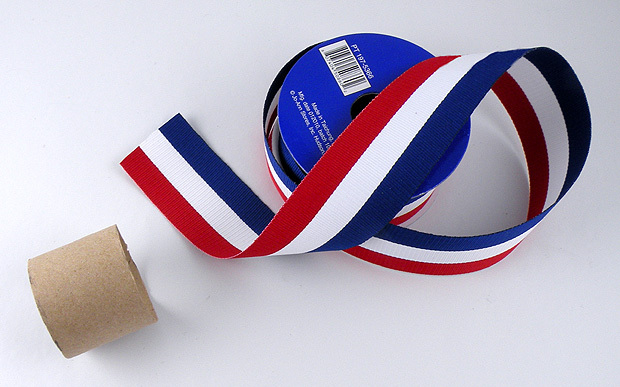 This entry was posted in Crafts, Recycle, reuse, reuseable and tagged 4th of July, 4th of july napkin rings, American flag, barbecue, fourth of july, fourth of July napkin rings, Gina Tepper, kids, napkin rings, paper towel napkin rings, red white and blue. Bookmark the permalink. Love this idea! They’d be so nice to use on 4th of July. Thanks for sharing!